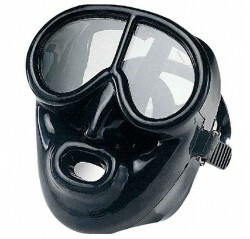 Pegasus full-face mask protects divers from extreme cold or grimy water. The 3-end strap secures the mask evenly and helps creating positive seal. Available in black silicone or rubber.